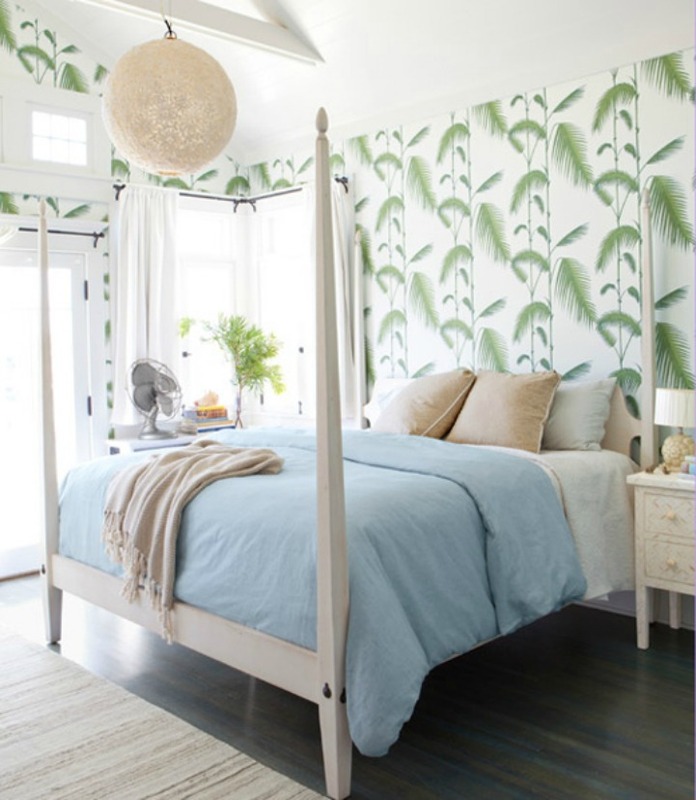 Coastal bedroom with white four poster bed and palm frond wallpaper in light aqua and soft green. 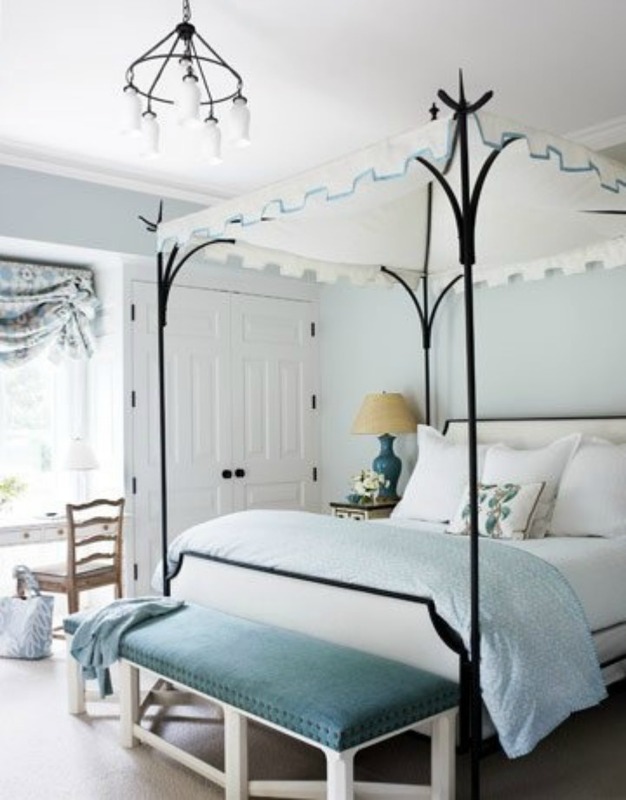 Iron canopy bed in blue and white makes this coastal bedroom lovely. 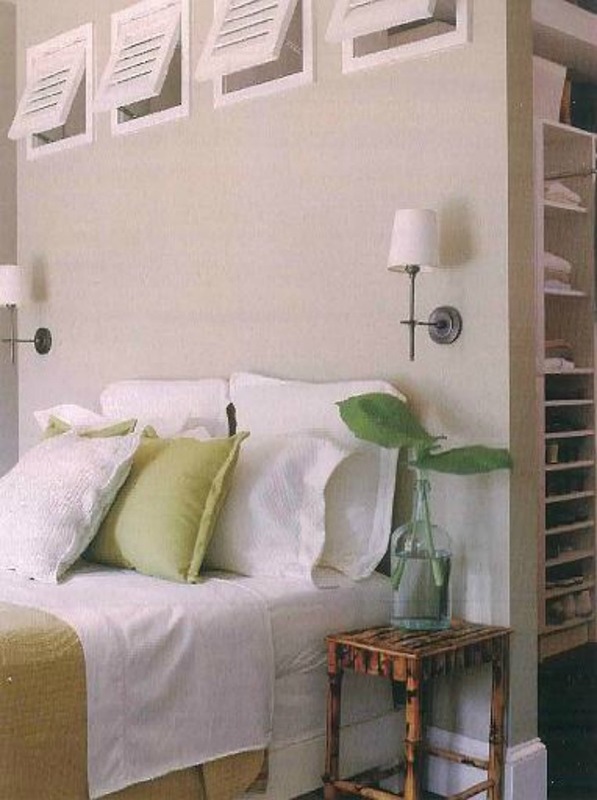 Coastal tropical bedroom with chic casual style. 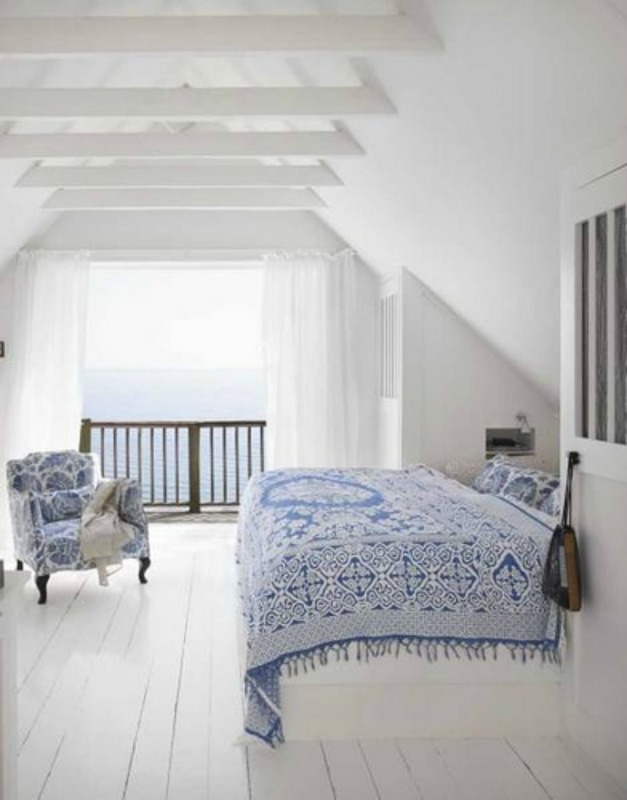 Bright white coastal bedroom in blue and white with an ocean blue view.